Samuel Blodget Jr., Portrait by John Trumbull, c. 1784. 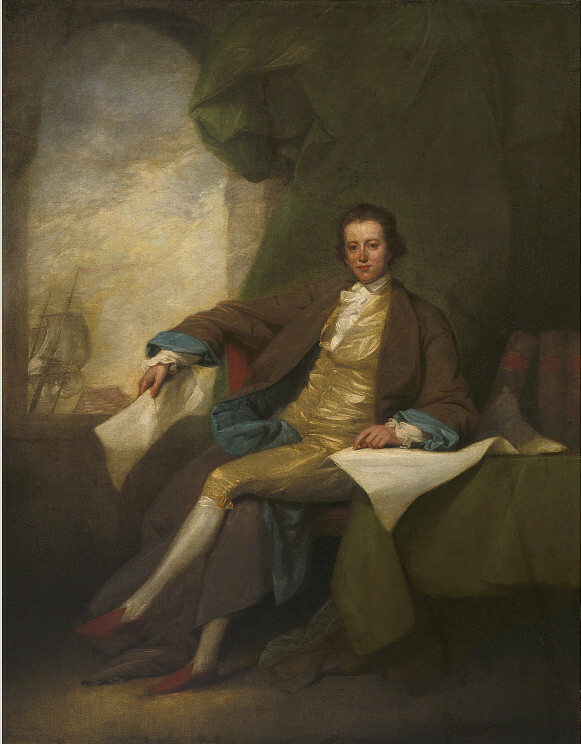 Courtesy the National Portrait Gallery, NPG.2013.29. On April 11, 1814, Samuel Blodget, a man who symbolized the growth and ambition of celebrated in early America, died penniless at a Baltimore hospital. Born in New Hampshire in 1757, Blodget served as a Captain in the state militia during the American Revolution then became a successful merchant in Boston. He moved to Philadelphia in 1789 where he founded the Insurance Company of North America and pursued a amateur passion for architecture with a design for the First Bank of the United States (1795). Both the insurance business and the bank building have survived up through the present. Blodget soon moved again to the new capital in Washington, DC where he successfully lobbied to win the position of superintendent of buildings and founded the city’s first bank. His once secure career began to fall apart when his mounting debts landed him in a debtor’s prison in 1802. His circumstances may have helped inspire his 1806 publication of Economica: A Statistical Manual for the United Statesnow considered the first American book on economics. The book did little to reverse his fortunes, however, and Blodget died in poverty at the age of 57.